A marketing riddle for you: "commerce has become marketing, and marketing has become commerce." pando's article does a pretty good job breaking that loopy statement down, and I'm going to give you a couple actions that you can do today to take advantage of the trends, especially if you're not a big player like Amazon of the big supermarket chains they mention in the article. 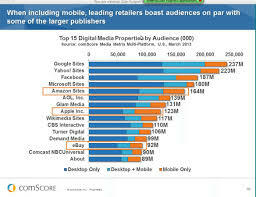 The first part of the statement means that in addition to marketing driving sales, sales drives more sales. Pando talks about using lots of data (purchasing behavior en masse) to drive brand marketing, but for most sites this isn't a valid strategy. What anyone can do for free is referrals after the sale. The concept is simple: when a user finishes checking out, give her a way to tell her friends about the sale. That is, the commerce (sale) drives marketing (the referral). 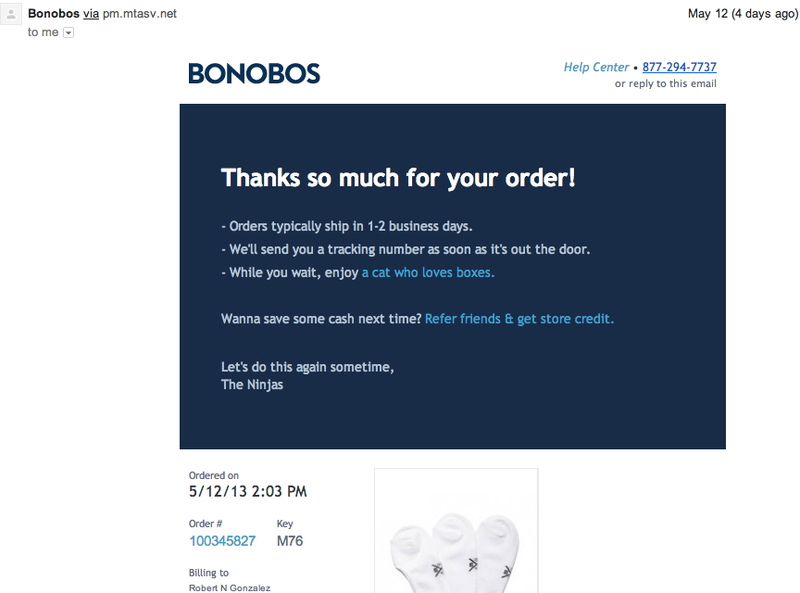 You can offer a discount on the referral like Bonobos ($25 your next purchase for each referral) and I'm sure that works, but it's more work to set up, and you don't need it to get started. Don't let perfect be the enemy of good. Just get the basic referrals working, test it, and you can come back to figuring out personalized coupons for referrals later. It's no longer debated that solid content drives inbound leads and sales. HubSpot has built a large business on this concept, and many of its successful clients are e-commerce vendors. HOWEVER, that doesn't help an overburdened online marketing team suddenly find the time to start writing high-quality content several times a month. Creating a blog and filling it with things your customers love is hard, and it does take time. I know you read all the time that you should start a blog, but it's just so hard to imagine the first steps you'll need to take. Write a buying guide for a set of your products. Now, this also takes work, but it doesn't require work on a consistent, ongoing basis, and you should be able to track its effect directly to sales. What does a buying guide look like? Well, they can take many forms. For example, the B&H cable finder is simply a great browsing experience that helps you find cables that match what you need. They could simply help out with choosing a product based on sizing or specs, such as Amazon's bike buying guide. But I think the most powerful help users new to the space figure out what they should even care about to begin with. I actually think Dell used to do the best job in the industry helping people who didn't know much about computers learn enough to feel comfortable with their purchases. Their site answers questions like, "do you just need an everyday computer, or something more powerful? are you doing graphic editing? etc." Great stuff. The goal is: sell a computer to someone who doesn't know much about computers. I'm saying that you should solve this for your market, whether it's bikes, cables, adhesives, or artwork. And since you're an expert in the products that you're selling, it shouldn't actually be that hard to put together. Think of trying to describe your products to your parents (or someone who is new to the space) and write down what you'd say to them, and then simply put that online.